Brown haired Parker loves to stand out from the crowd with these bright hair clips and extensions. An 18 inch non-poseable doll with hair that grows. 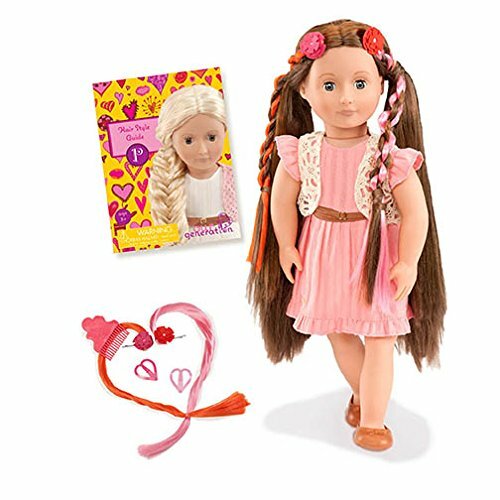 Parker wears pretty pink dress with coordinating jacket, matching shoes and belt and comes with a portion of hair that can be extended to add extra volume to plaits, curls and buns, as well as a hairstyle booklet, comb, hair extensions and hair clips.